Men are not nurturing enough with kids. This mean men are not as gentle with kids. This is not true because a man could be big and strong but could be gentle to kids. Women are not as strong in construction. This means women are not as tough and as well being to get dirty. This is not true because there are many women that work in the construction cluster. Men who work no traditional jobs are not masculine, vise versa for a girl. This shows that you are a girl/guy if you dont work a traditional job. This isnt true because you were born either a girl or a guy. 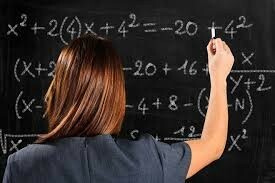 Women do not have a strong apitude for math or science. This shows that girls cant handle stressing math or science. This is not true because many girls are smarter in math or science then guys. Women on a job site make it difficult for men to concentrate. This mean that girls are always asking for help and dont know what to do. This is not true because girls are smart and they can handle situations.